Ranked number one of four hotels in Pemba by Trip advisor, Pemba Beach Hotel is a fusion of African and Arabic architecture majestically poised on a promontory which separates Pemba Bay from the white pristine sands of Wimbe beach. 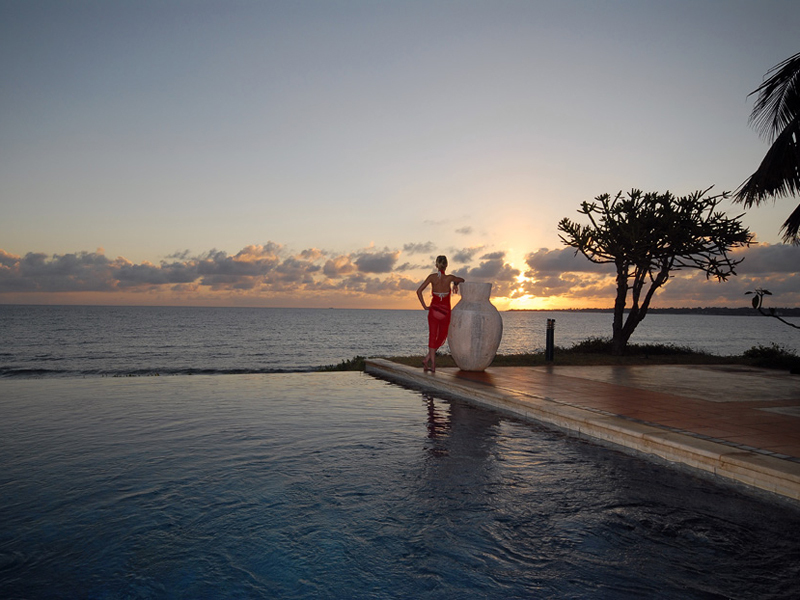 This Mozambique hotel is found in Pemba, the gateway to the Quirimbas Archipelago just minutes away from Pemba airport. Pemba Beach Hotel is a superb destination for Mozambique holidays and our consultants rate it as one of the best Pemba hotels. We have our own opinions on why we like this top Mozambique beach property and the one that tops the list is the picturesque location, which is idyllic for beach weddings. The service is worth mentioning, not to talk of the exceptional facilities. We find it difficult to fault this exquisite hotel and recommend it to all our clients. Find out why this Pemba accommodation receives glowing Trip advisor hotel reviews and guest feedback when you book into one of its 185 rooms. With 10 different room categories, you are bound to find a room that suites both your pocket and preferences, ensuring that you don’t get left out in the fun. Luxury amenities in each room include individually controlled air conditioning and satellite TVs among other creature comforts. Check out the candid photos of this romantic retreat in our gallery tab. “Lovely hotel with gorgeous surroundings and constant security on the resort. The staff were very attentive and helpful and you could request use of the hotel buggy if you needed a lift…” Cleasho from Glasglow, UK wrote. “A special thanks for the return of an item very dear to my husband that was left in his room and returned to us. The honesty of whoever handed it in is outstanding and will forever be remembered. Thanks also to Jonathan and James.” Writes Shence from Catfield, UK. Book your holiday with the specialist tour operators today. Let us take the stress out of planning your holiday.